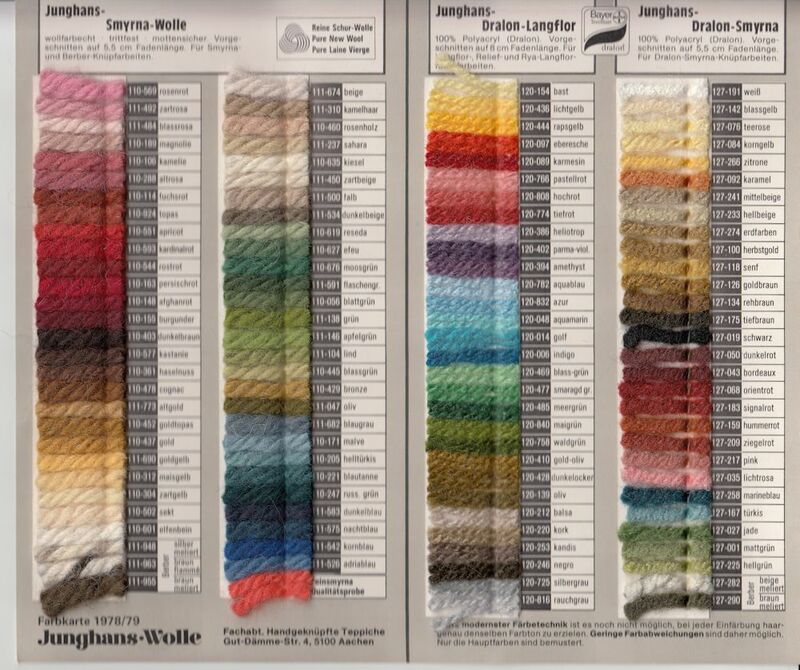 German wool craft companies don't do things by halves! 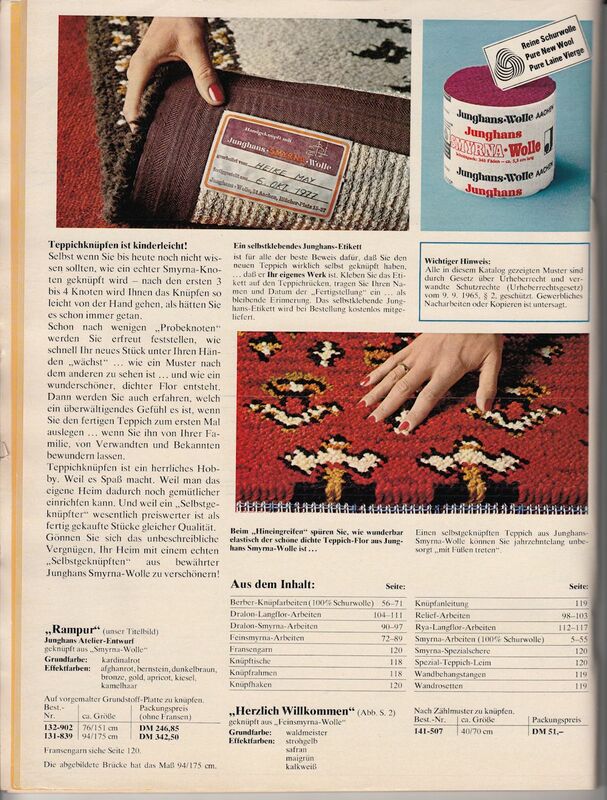 This catalogue is a whopping 124 pages and came with a sample card with 3 types of yarn: wool, rya (long pile), and dralon. 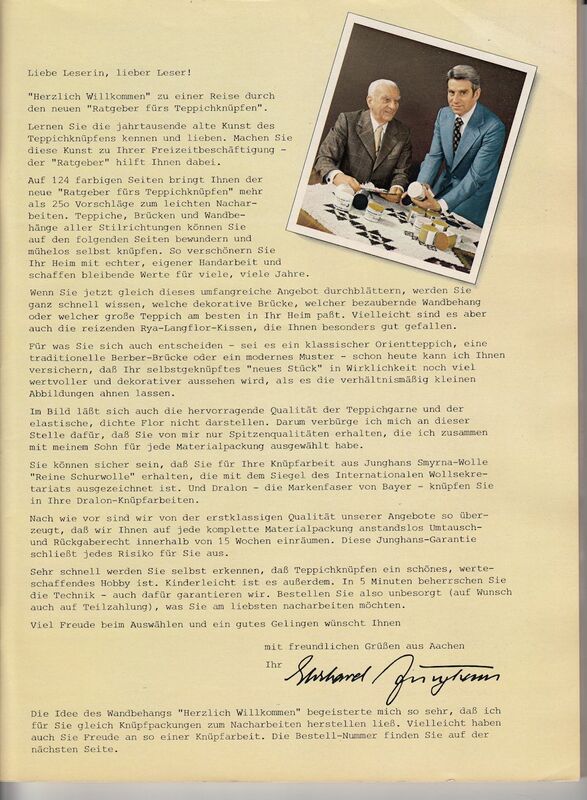 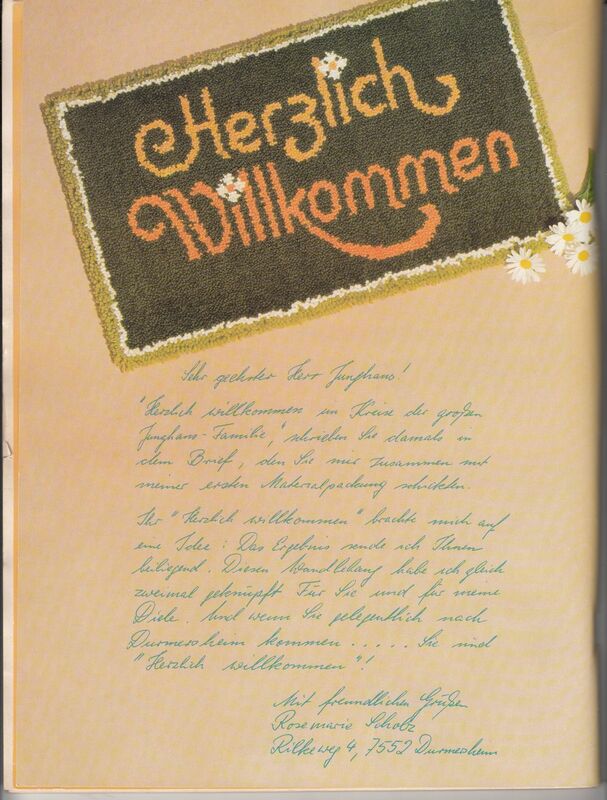 There's also a greetings card from the company. 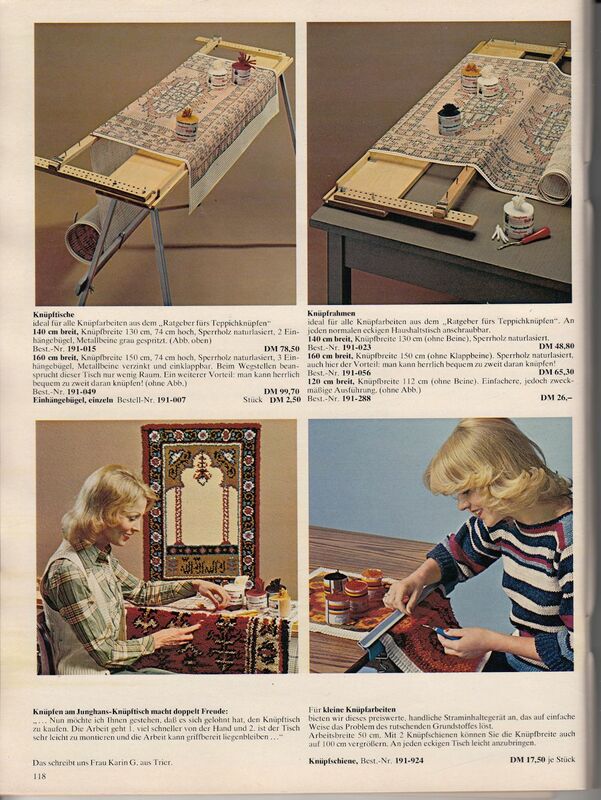 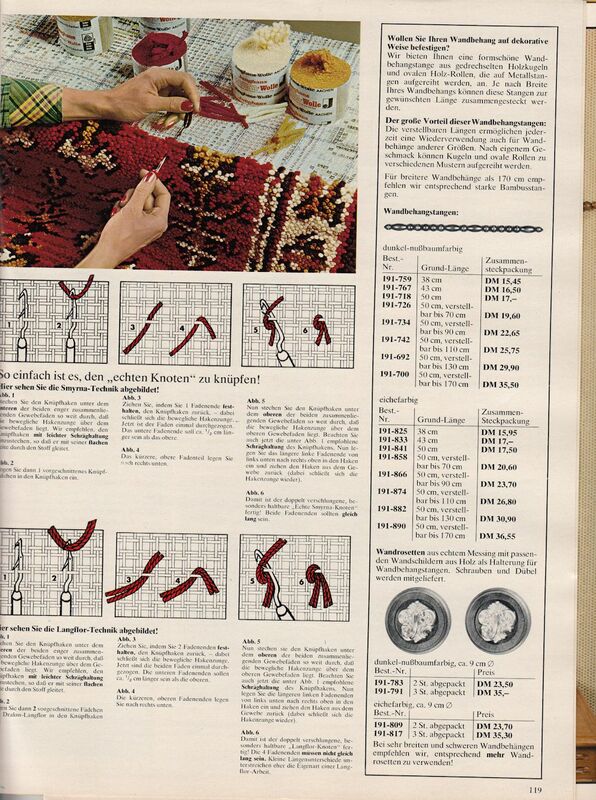 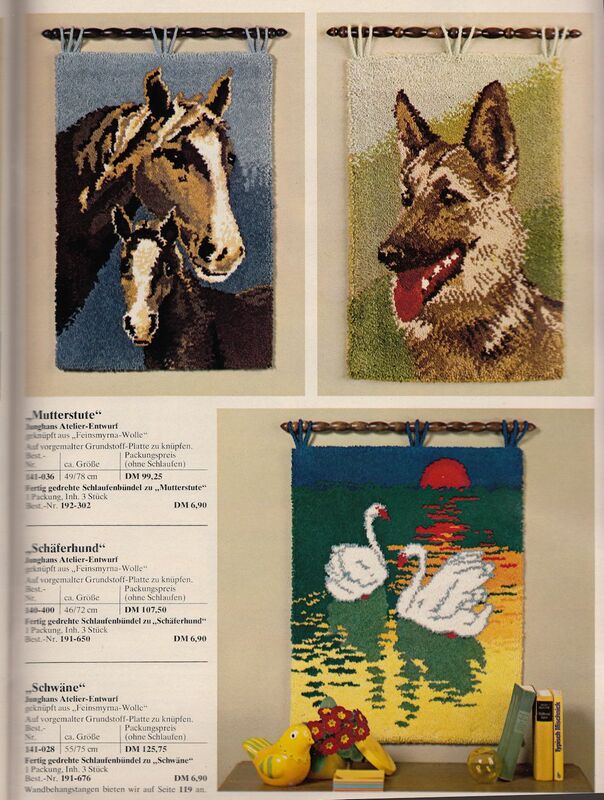 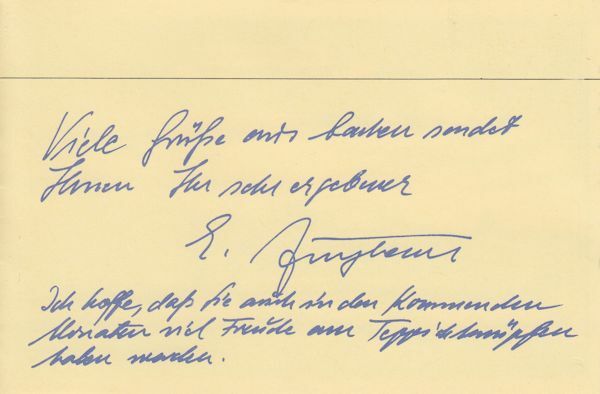 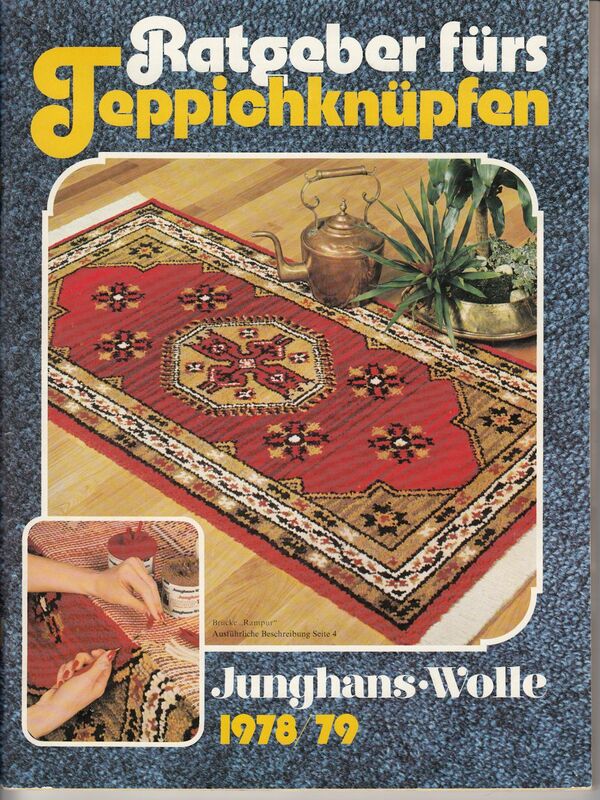 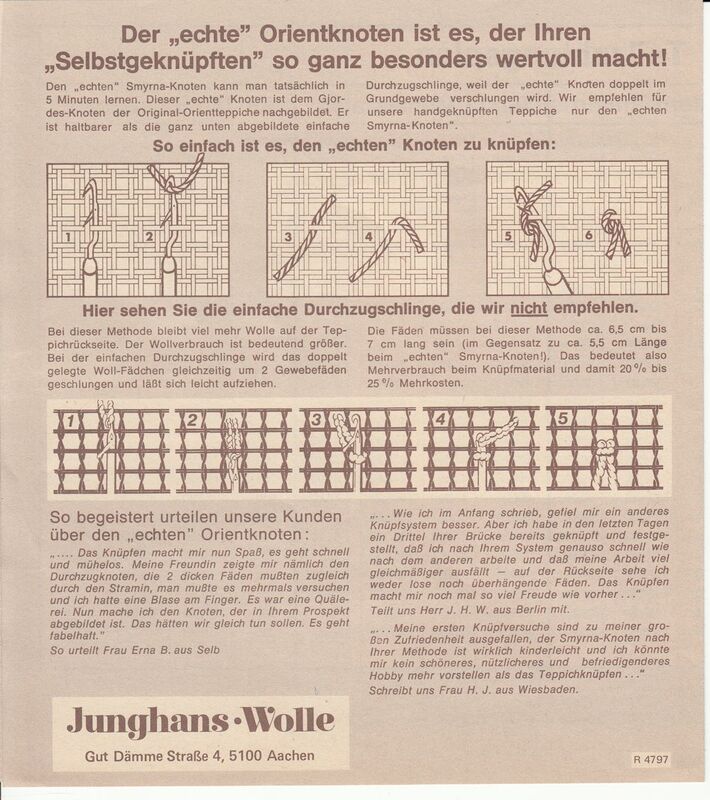 As Junghans Wolle are still an active rug supplies company, I've only included a few images from their rug book to give an idea of their rug products.